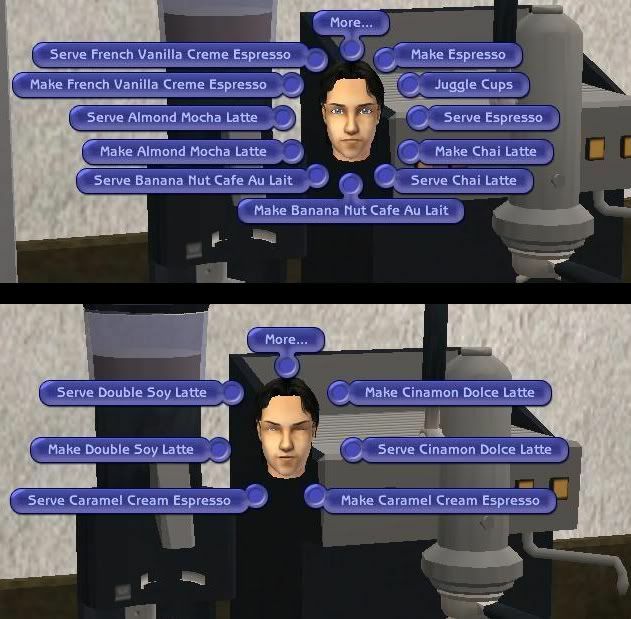 Now your sims can enjoy all the comforts of Starbucks in their own homes with extra pie menus for the Maxis espresso machine. All of the pie menus function exactly as regular espresso does in game. I hope you enjoy! Great idea. Looks like more fun for the game. The link for this download no longer works. Can it possibly be fixed? link is dead. Please fix it. @Raynuss - I am so sorry Ray, missed your comment completely.